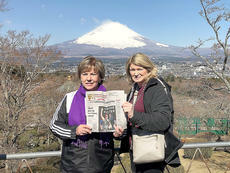 Sharon Harmon and Carolyn Gootee traveled to Japan March 28-April 6. This picture was taken at Mt. Fuji.